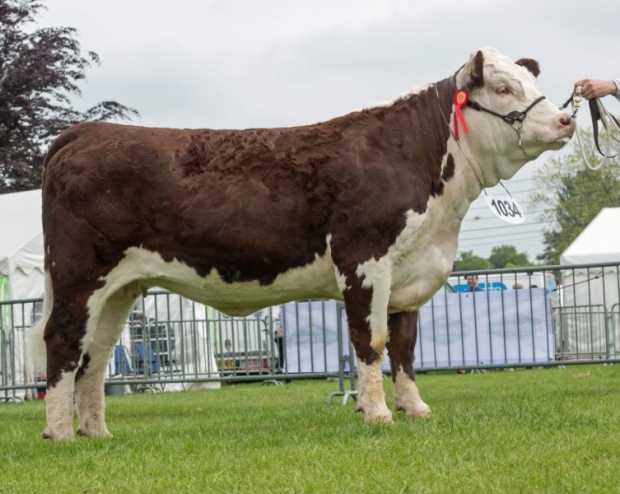 The Hereford Society’s Horned Bull and Female of the Year for 2015 have been revealed. 2015 UK Horned Bull of the Year is Trillick Knockout. The 2015 UK Horned Bull of the Year is Trillick Knockout jointly owned by FW Cook & Son, Fen End Over, Cambridgeshire and PRJ & LR Vincent, Diss, Norfolk. This stylish two year old bull, bred by JJ Farrell in the Republic of Ireland, is out Cloghran Sally and by Steil Gerard a bull which has proven very successful at the Trillick herd. 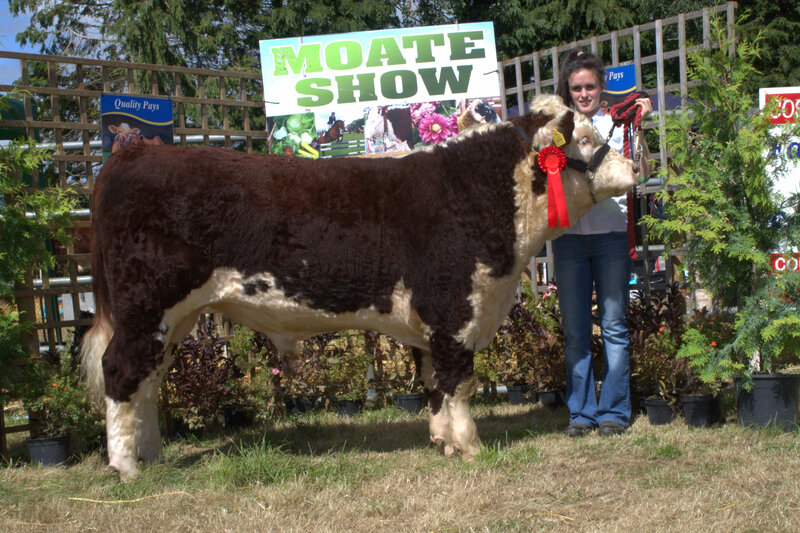 The bull was purchased following the summer show season in 2014. Shropshire County – 3rd, Royal Norfolk – 1st, Great Yorkshire – 2nd, Royal Welsh – 3rd, Bury – 1st and Reserve Grand Male Champion. UK Horned Female of the Year is Clipston Tiara R16. The 2015 Horned Female of the Year has also been won by PRJ & LR Vincent with their twenty eight month old heifer Clipston Tiara R16. “Tiara R16” is out Clipston Tiara G27 and by successful sire Auckvale Grandee 943G. She has a great set of Breedplan Performance Recorded Figures with 400 & 600 Day Weights, 200 Day Milk and a Self-Replacing & Terminal Sire Index in the Top 10% for the Hereford Breed.